Lev Zilbermints is famous for developing a gambit after 1.d4 e5 2.dxe5 Nc6 3.Nf3 Nge7. I enjoyed the Englund Gambit in dozens of blitz games. Usually, I chose 3...Qe7 or 3...f6, but I've had a higher performance rating with 3...Nge7. Zilbermints won a game against Vladimir Polyakin in round three which he gave below with notes. Zilbermints added this note with the final fourth round: "The last game was a short one, as NM Vladimir Lipman and I both had 3 points. All we needed was a draw to share first place. Thus, in the fourth round, we played: Lipman (2165) - Zilbermintz (2084), Red Bank Open (4), 2017. 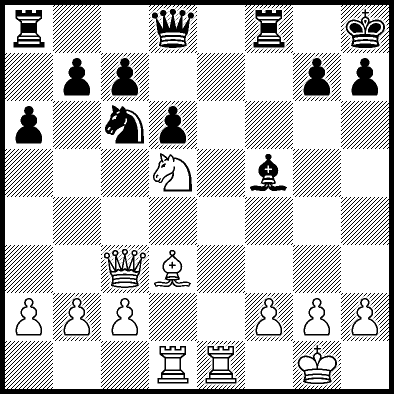 Zilbermints Gambit: 1 d4 e5 2 dxe5 Nc6 3 Nf3 Nge7 4 e4 DRAWN. This was the $150 Zilbermints Gambit game!" Happy New Year 2018! Here are my top 10 Favorite Chess Blog posts for 2017. I wrote 192 chess posts and published 33 chess books during 2017. My blog plan now for 2018 is to publish Monday, Wednesday, and Friday. Updated versions of most of my old posts can be found in my books. Thank you for reading my blog and books. Enjoy!